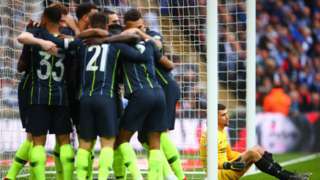 Manchester City secure their place in the FA Cup final with victory over Brighton as quadruple dream moves a step closer. That's all from us for another busy week. We're back at 08:00 BST on Monday. Thirty-three thousand Brighton and Hove Albion fans are heading for Wembley on Saturday, as the Seagulls take on Manchester City in the FA Cup semi-final. Police have discovered a large cannabis factory in Eastbourne. Three-hundred-and-fifty plants were found being grown across five rooms of a property in Cavendish Place. A man in the house tried to escape by climbing out of a window and on to a roof. A 21-year-old man arrested at the scene has been released without charge and handed over to the immigration authorities. M20 Kent eastbound severe disruption, before J9 for A20 Fougeres Way. M20 Kent - One lane closed and queuing traffic on M20 eastbound before J9, A20 (Ashford), because of a broken down vehicle. On 4 April Wealden District Council’s planning committee refused proposals to build a single family dwelling on land next to Tanyard’s Farmhouse in Framfield Road, after demolishing a number of disused agricultural buildings on the site. While no objections were raised over the building’s design or its impact on the surrounding area, the committee opted to refuse the application as it would go against policies. The site’s owner says the building is dilapidated and contains asbestos, but the committee heard from officers that approving the scheme would "go directly against" a number of policies contained in its recently-submitted local plan – potentially opening it up to challenge, with the application rejected by four votes to three. M2 Kent - M2 lane closed on exit slip road and slow traffic eastbound at J3, A229 (Chatham), because of a broken down vehicle. Teagan Appleby, nine, has severe epilepsy and suffers hundreds of seizures ever day. 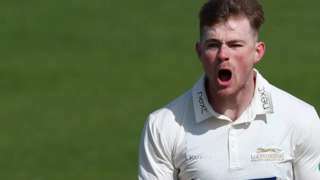 Fifteen wickets fall on a captivating first day at Hove as Leicestershire stumble to 131-5 in reply to Sussex's 173 all out. 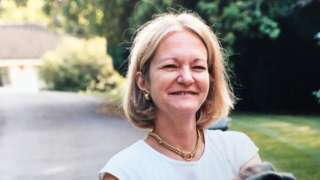 Sally Challen, whose murder conviction was quashed, is released from custody ahead of a fresh trial. Carl Eldred admits killing his brother Lee on the A26 in Hadlow after the pair had an argument. M23 Surrey northbound severe disruption, at J8 for . M23 Surrey - One lane closed and queuing traffic on M23 northbound at J8, M25 Interchange, because of a broken down car. M20 Kent eastbound severe accident, between J4 for A228 Castle Way Leybourne and J5 for A20. M20 Kent - One lane closed and queuing traffic on M20 eastbound between J4, A228 (Leybourne) and J5, A20 (Aylesford), because of an accident. In the roadworks area. 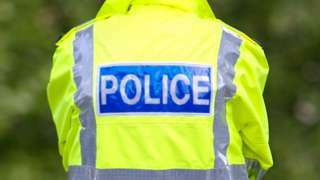 A body found on a beach has been identified as a man wanted by Sussex Police. Geoffrey Peacock, 30, from Hastings, had breached the terms of his probation. His remains, which were found at Seaford Head, were identified using DNA analysis. M2 Kent eastbound severe disruption, at J4 for A278 Hoath Way. M2 Kent - One lane closed on M2 eastbound at J4, A278 (Gillingham), because of an obstruction on the road. Brighton and Hove Albion fans are going to Wembley as their team takes on Manchester City in the FA Cup. 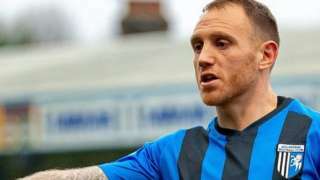 Gillingham defender Barry Fuller signs a one-year contract extension with the League One club. M3 Surrey southbound severe accident, after J3 for A322 Bagshot. M3 Surrey - Queuing traffic on M3 southbound after J3, A322 (Bagshot), because of an accident earlier on. M25 Surrey clockwise severe accident, from J9 for A243 to J10 for A3. M25 Surrey - One lane closed and queuing traffic on M25 clockwise from J9, A243 (Leatherhead) to J10, A3 (Wisley Interchange), because of an accident. M20 Kent eastbound severe disruption, between J8 for Leeds Castle and J9 for A20 Fougeres Way. M20 Kent - One lane closed and queuing traffic on M20 eastbound between J8, Leeds Castle and J9, A20 (Ashford), because of a broken down vehicle.